Back in the day, people were working each day of their lives. The times were different then, and so was the work they were doing: feeding the animals, caring for the family, working the fields, and serving the needs of the community with trades that were only done by certain people – blacksmiths, millers, barbers, fishers, and so on. Then the industrial revolution came, and the nature of work has changed. Many people transitioned from cultivating their own needful things to buying them with money they made at various factories producing industrial goods. Slowly, workers started to demand more reasonable work hours and a better work-life balance – thus, the current practice of the eight-hour workday and the five-day workweek has been reached. Yet this system is also coming under scrutiny today. The average time spent at work differs from one economy to another, a pattern that’s easy to recognize if you take a look at how many hours people are working in other countries. The proposed model would see people work not five but four days a week – and the early trials of this new system show quite a lot of promise. For certain trades, that is. The new system had several “trial runs” around the world in the last decade or so. There were two different approaches – one that saw employees work for 10 hours, four days a week, to cover the traditional 40 hours of work each week, and another that reduced the number of hours worked to 32 and offering the same pay and conditions for workers. Surprising as it may sound, the latter has been proven to be more productive. So far, none of the government-backed “trial runs” were actually turned into long-term policies. In Utah, USA, state government employees have had four-day workweeks between 2008 and 2011, a system that was meant to save on the operating costs. The new schedule gave businesses a hard time, though, and the savings were also under the goal, so the experiment was abandoned. In Gambia, a four-day schedule was introduced by President Yahya Jammeh in 2013, with 10 hours worked a day – also for public officials. The goal was to allow the country-s predominantly Muslim population to farm, pray, socialize, and tend to friends. While there are no studies to show how successful this experiment was, it was swiftly abolished by his successor. 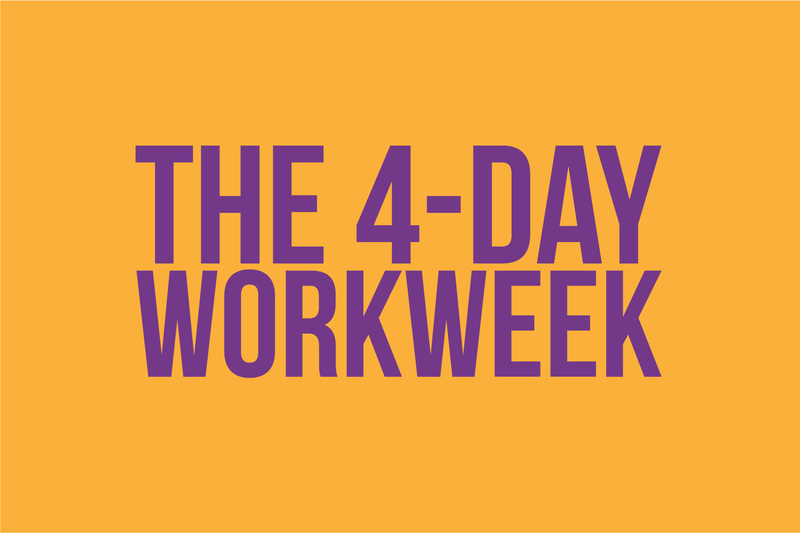 A four-day workweek would be impractical in certain areas, like retail, deliveries, and such. But there are others where it could well be implemented – well, most areas where there is no interaction with the public (because the public is expected to be served each day of the week). This year, a New Zealand financial advice company called Perpetual Guardian did a trial run of a four-day workweek with eight-hour workdays while keeping the pay at the same level for its employees. The results were surprisingly successful – not only have the employees become more productive in the four workdays left in their week but they have turned out to be more energic, happier, and overall more contempt with their life. And this experiment was not only deemed successful by the company’s own standards but by those of the scientific community, too. The six-week trial was tracked and evaluated by researchers from the University of Auckland who have deemed it a “total win-win” – a win for the business as well as the employees. So much so that the company has decided to extend the four-hour workweek scheme permanently. Back in the day, people couldn’t’ve imagined spending just five days at work and having two days off each week. Today, we can barely imagine having three days off and working just four (although it does sound attractive). In a few decades, thanks to automation and sound government policies, we may not have to work at all. When implemented in the right way, and keeping in mind that there are many different areas where it wouldn’t be a good fit, a four-day workweek could indeed work – but it will take quite some time for the world to adjust to the idea.